The online influence of action on perception. Effectively acting on the world around us requires accurately predicting the consequences of our movements. We select actions based on their predicted outcomes and use these predictions to generate rapid corrective movements when we experience deviant sensory input. There is a range of evidence demonstrating that these predictions change the percept itself. We examine, with psychophysical and neural techniques, how these predictions help to shape our percepts during action, to render veridical percepts in the face of much internal and external sensory noise and a requirement to generate percepts rapidly. Perception of others' actions. One of the cues towards our internal states is the way that we move. For example, when we feel sad we move sluggishly, whereas when we feel anger our movements increase in velocity. These kinematic signals provide a rapid route for the attribution of internal states to others, enabling fast and appropriate responses to their behaviour. We examine how models of our own actions influence our interpretation of these cues in others. 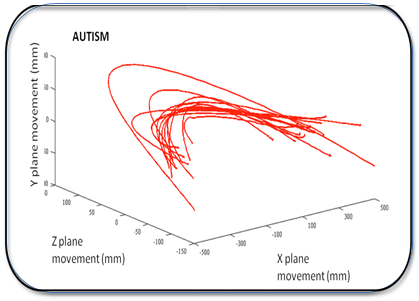 Action in autism spectrum conditions. 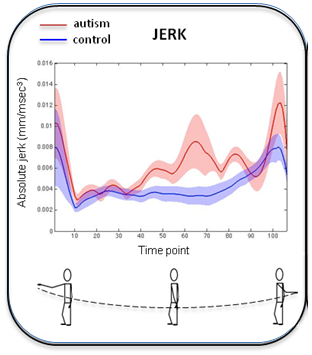 Action control, imitation and sensory processing impairments are widely reported in individuals with autism spectrum conditions, but it is unclear what underlies these difficulties. Studies in our laboratory aim to understand these difficulties and how they relate to other atypicalities in these individuals.